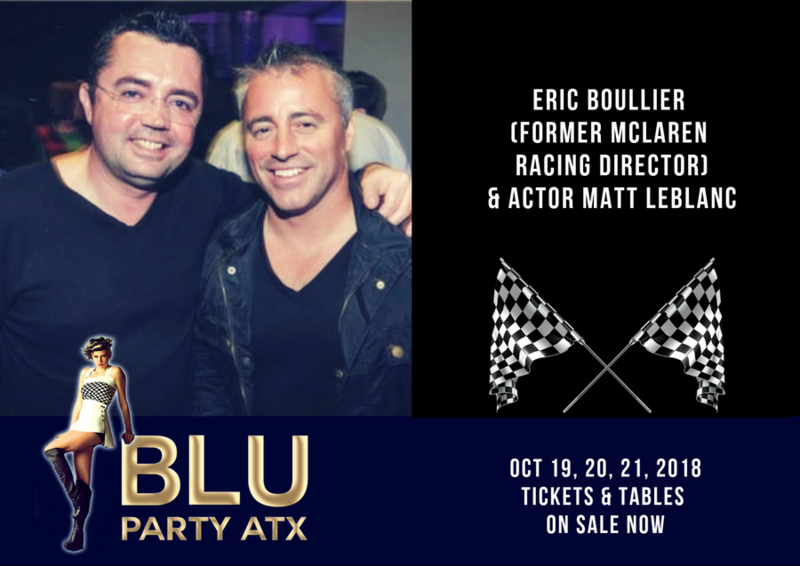 Blu Party ATX Formula 1 Race Weekend Austin - Blu Party ATX for Formula One race weekend. 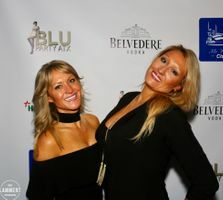 For more images, please visit Facebook. 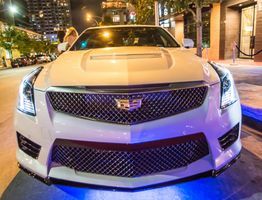 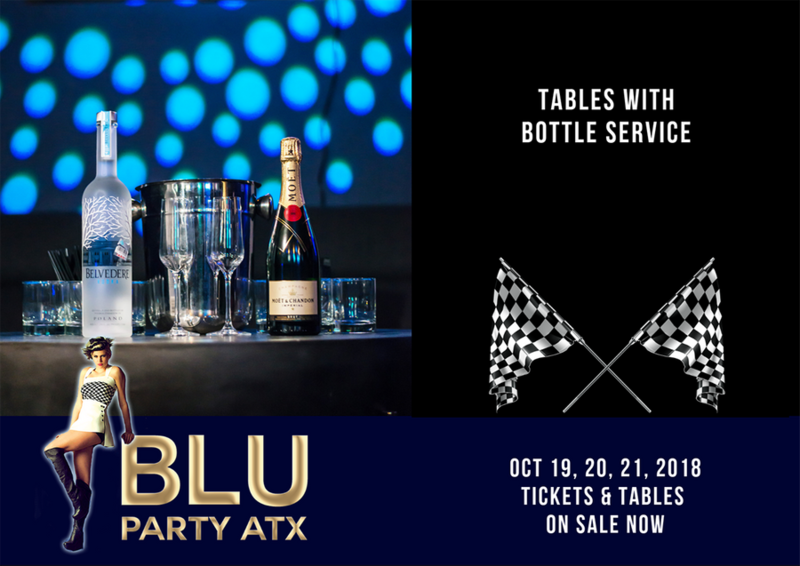 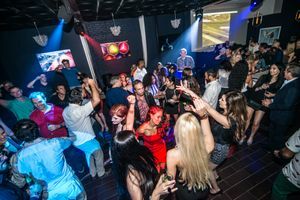 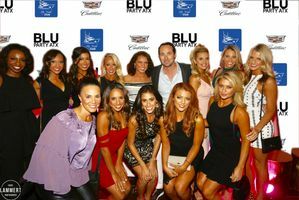 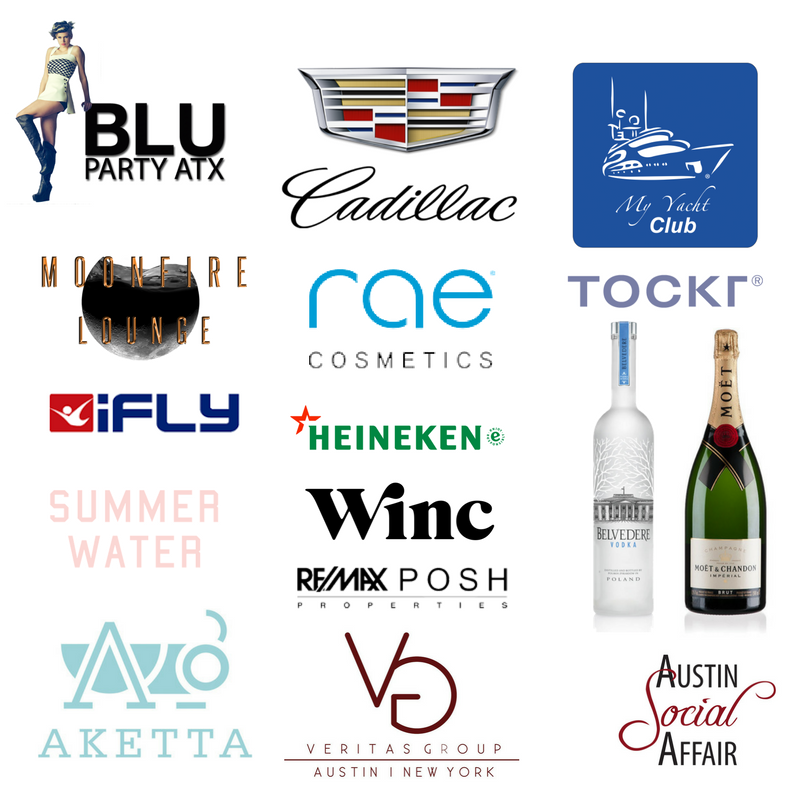 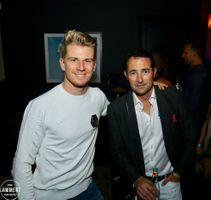 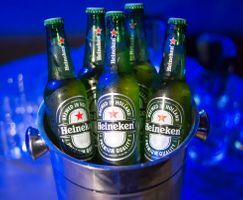 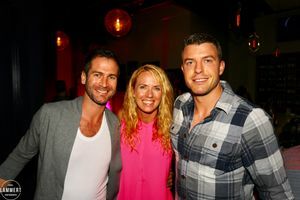 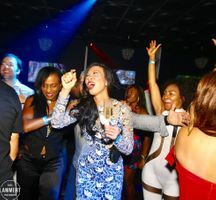 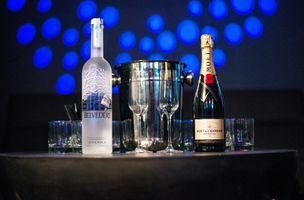 Blu Party ATX is Austin's hottest most sophisticated party of the year and has been the longest standing event in celebration of the Formula One™ race weekend in Austin, playing host to an evening packed full of champagne, dancing, celebrities, drivers, locals and international elite. 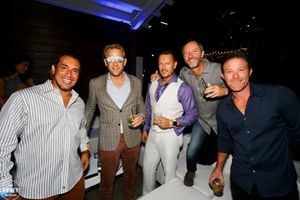 The Blu Party was joined for the 5th year by international party-throwers, My Yacht Club. 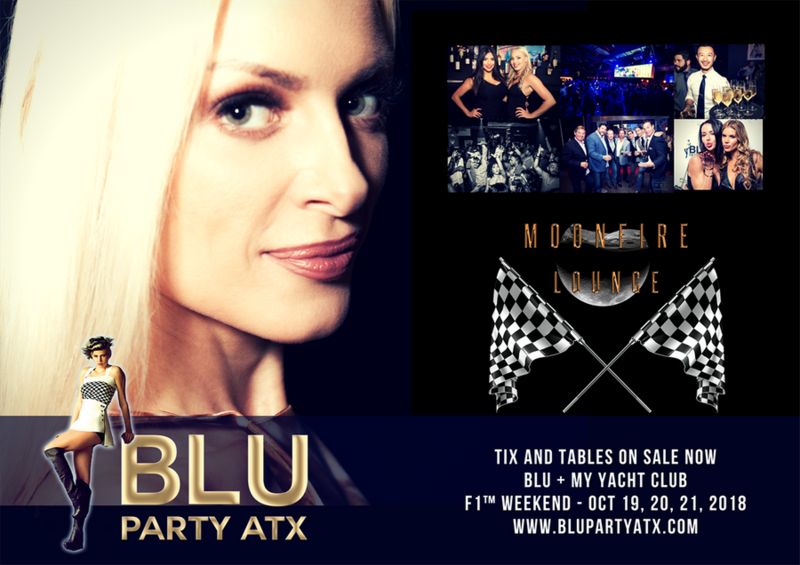 For immediate inquiries, contact Moonfirelounge at info@moonfirelounge.com. 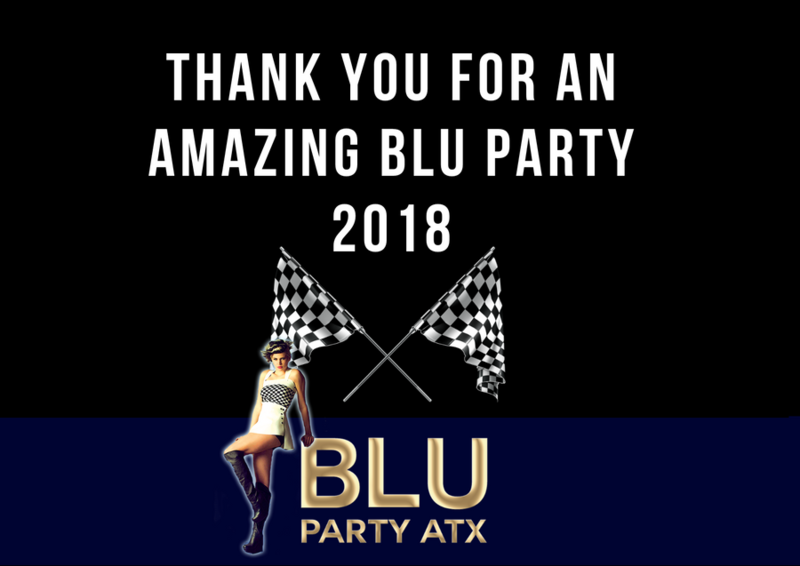 Blu was joined by My Yacht Club in 2015, 2016, 2017 and 2018!